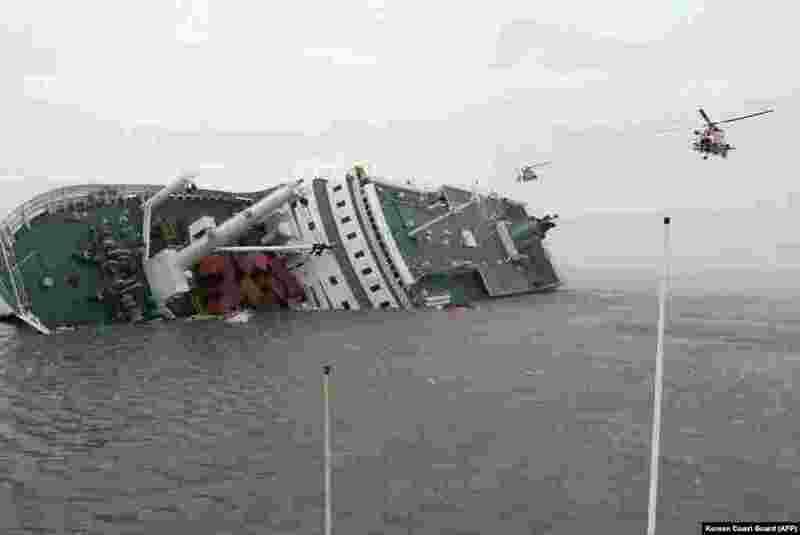 1 The South Korean ferry "Sewol" is seen sinking in the sea off Jindo, South Korea, April 16, 2014. 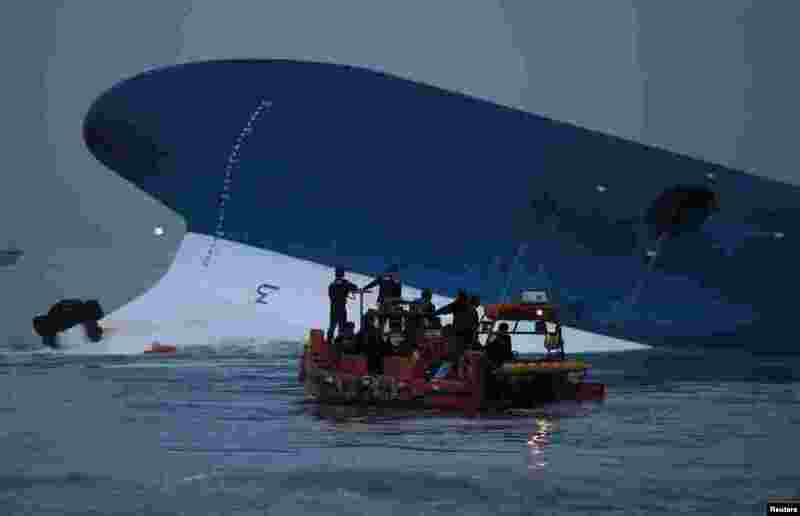 2 Maritime police search for missing passengers in front of the South Korean ferry that sank near Jindo, South Korea, April 16, 2014. 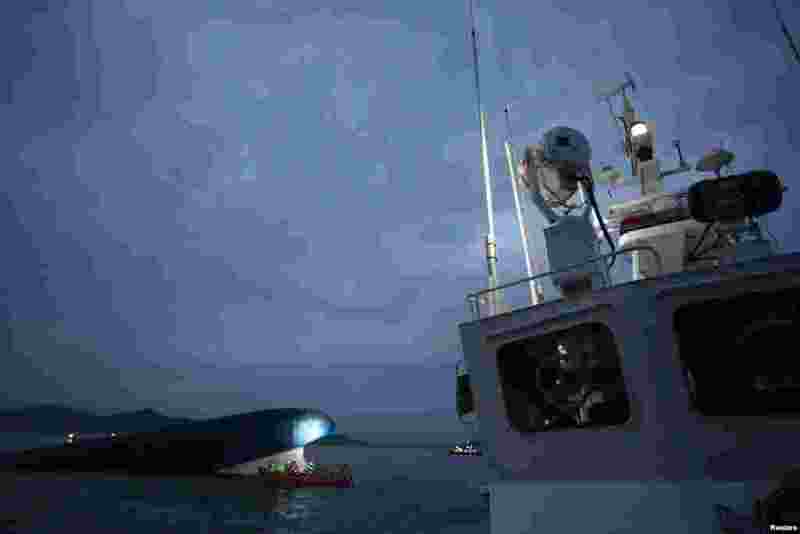 3 This image made from video from the South Korean Coast Guard shows a passenger of a ferry sinking off South Korea's southern coast being hoisted onto a Coast Guard helicopter off the southern coast near Jindo, April 16, 2014. 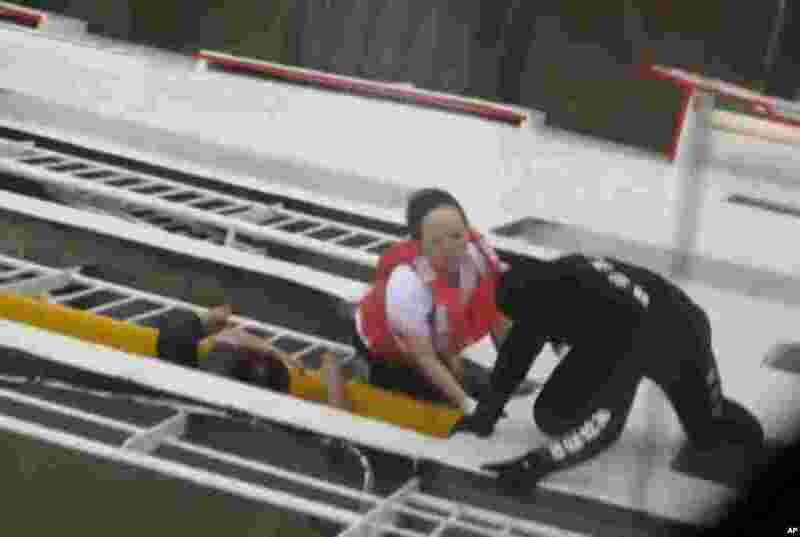 4 This image made from video from the South Korean Coast Guard shows a rescue worker helps people climb onto a side of a ferry sinking off South Korea's southern coast, April 16, 2014. 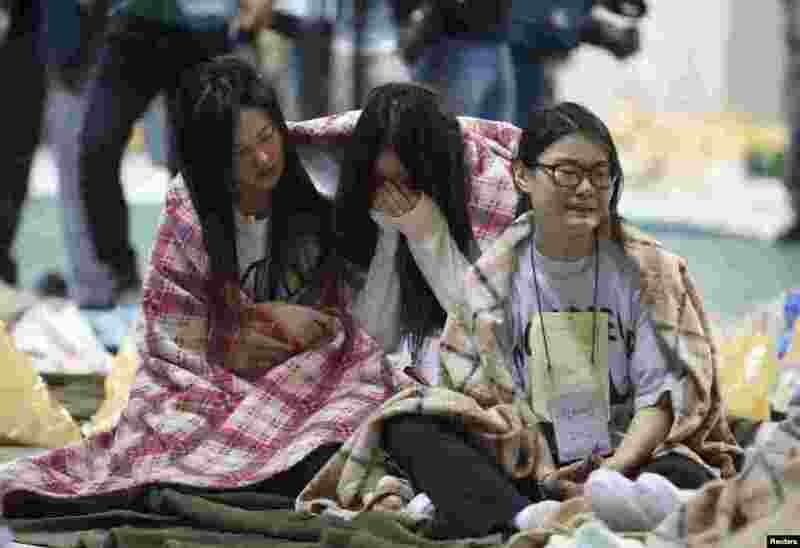 5 Rescued passengers cry at a gym where rescued passengers gather in Jindo, South Korea, April 16, 2014. 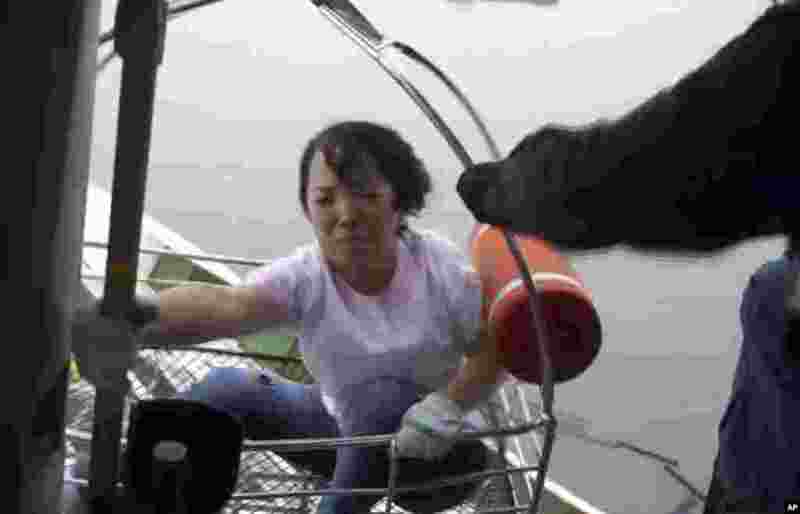 6 The mother of a passenger who was on a sinking ferry reacts as she finds her son's name in the survivors list at a gym where rescued passengers gather in Jindo, South Korea, April 16, 2014. 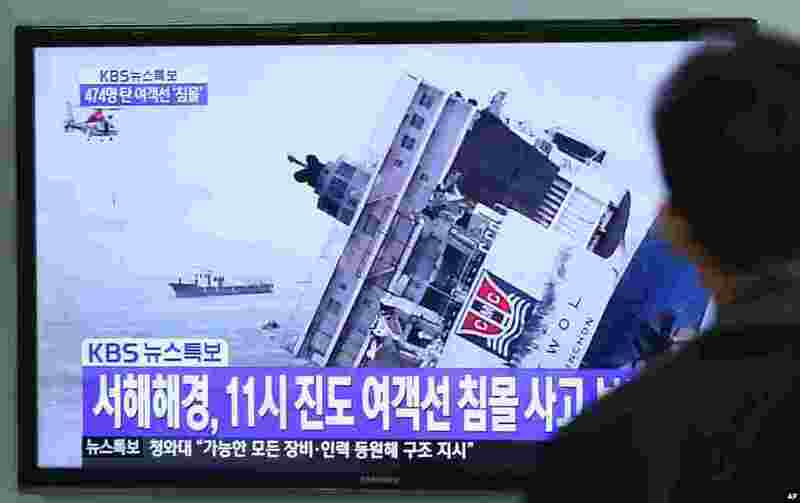 7 A man watches a TV news program showing a sinking passenger ship, at Seoul Railway Station in Seoul, South Korea, Wednesday, April 16, 2014. 8 Helicopters head toward a South Korean ferry sinking on its way to Jeju island from Incheon, April 16, 2014. 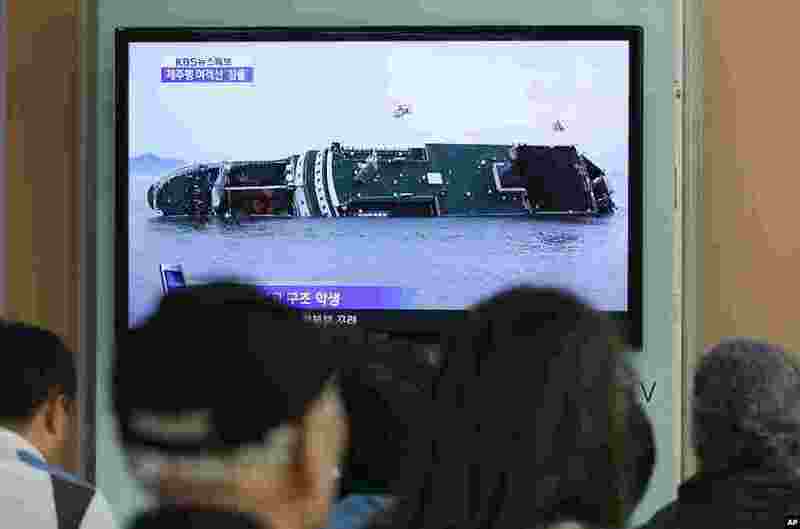 9 People watch a TV news program showing a sinking passenger ship, at Seoul Railway Station in Seoul, April 16, 2014.